and portions for her female servants." My children may argue that they are the servants :-). Though most of the items at the market are not from far off, it does take some effort to go out of the way each week, but it is well worth it. If you have never used dried beans before, know that black beans are one of the more hard beans when they are dried. They need to be soaked overnight. In the morning, drain and rinse them thoroughly. Then put them in a stock pot with enough water to cover them about 2 inches deep in the pot. Place a lid on it, bring it to a boil, and then allow it to simmer for at least 1 1/2 hours. This can also be done in a crock pot, beginning on high until it is boiling, and then reduce to low for at least 2 hours. 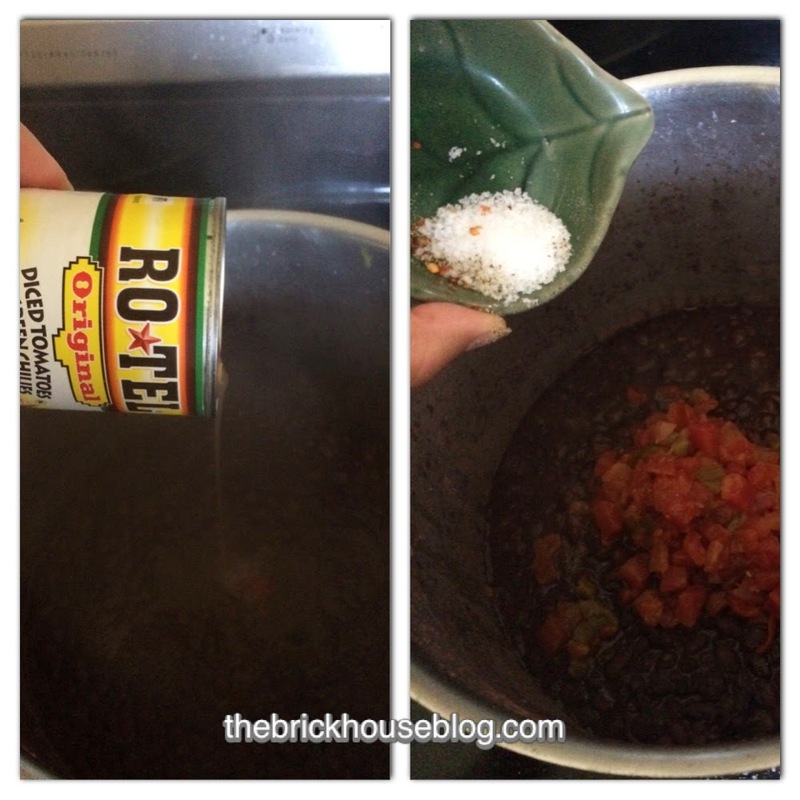 *** Know that this recipe will work easily with 3 16oz cans of black beans, drained and rinsed. The dried beans are more economical, and have no added sodium, but feel free to do what works for you. 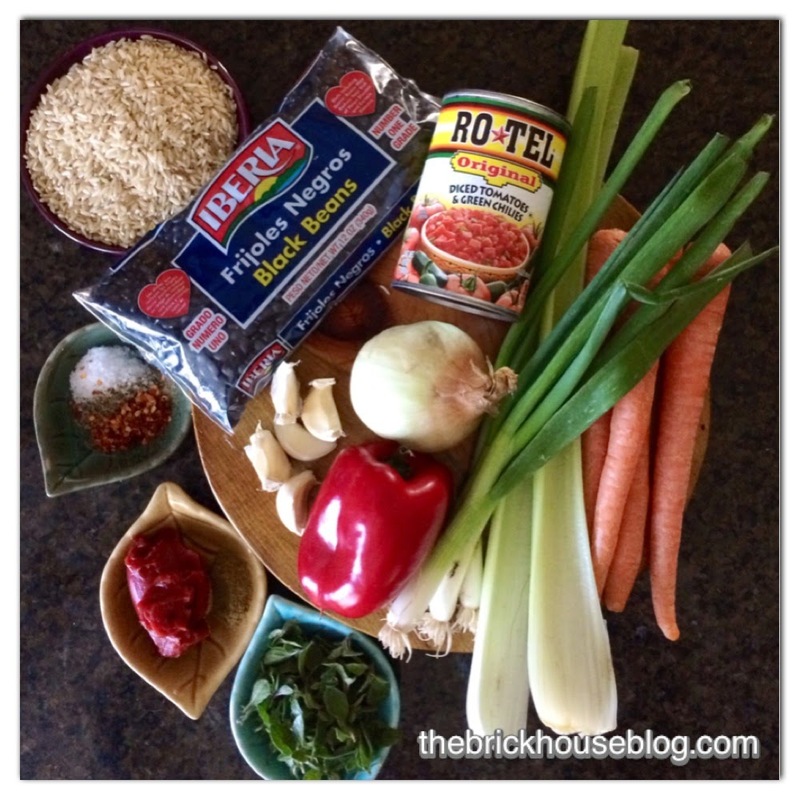 This recipe does not use premade vegetable stock, so we are going to make some of our own. 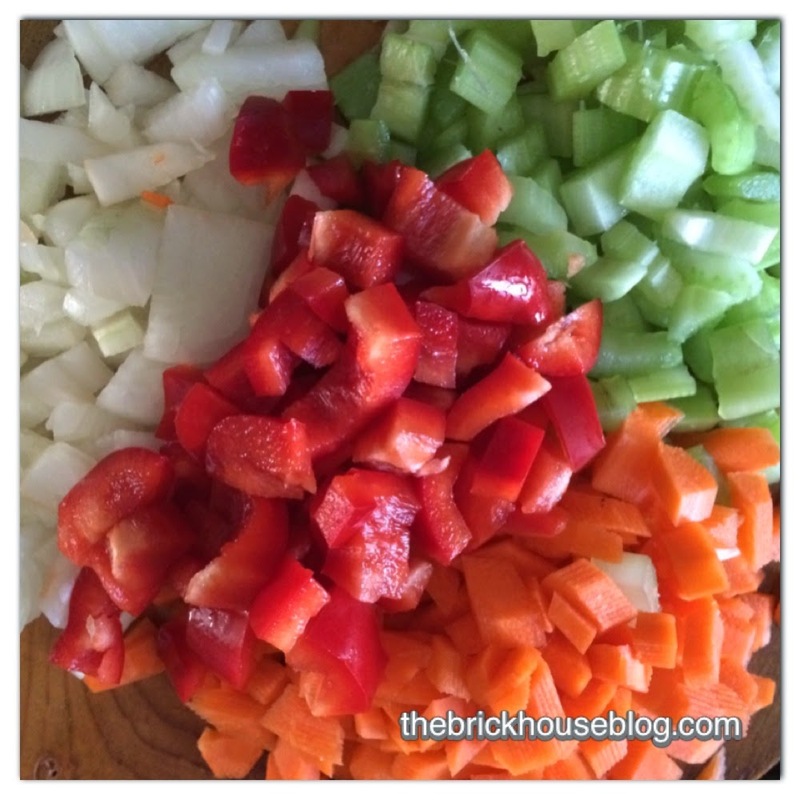 Begin by chopping the onions, carrots, celery and red pepper. It doesn't look like much, but I could eat these by themselves. They are so full of flavor! Check for tenderness. You should be able to easily bite into the carrots. Do you have a Ninja ? This is my kitchen workhorse! I use it to make smoothies, puree veggies for soup, or to hide ingredients that unsuspecting eyes may pick out if it were staring at them in the face. Ok, where was I? Right, first put the fresh oregano in (if you have dried, you may add it directly to the pot of beans). 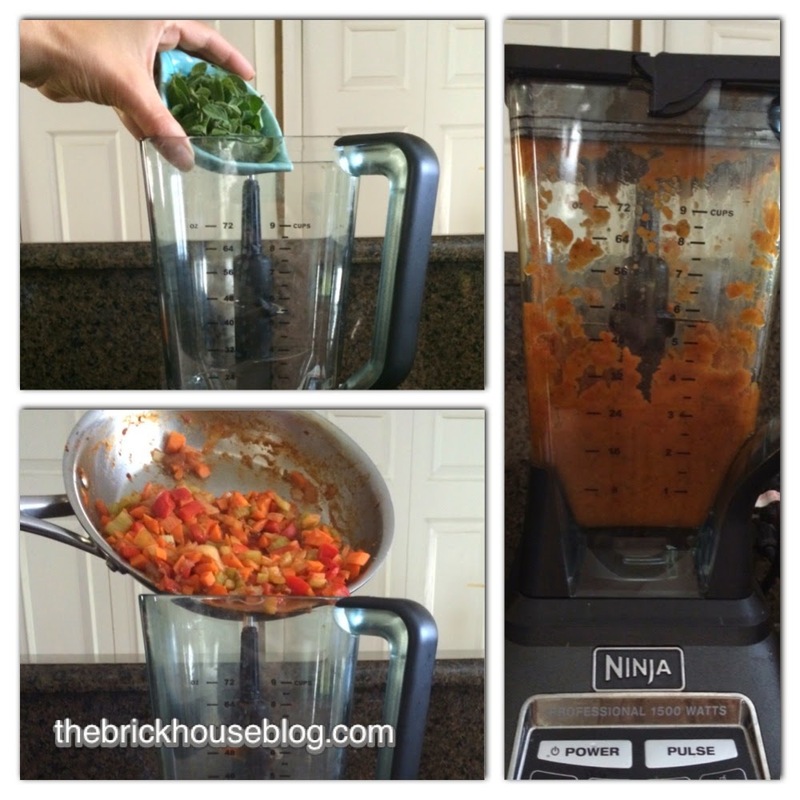 Pour the sautéed vegetables into the Ninja and puree until there are no visible chunks. 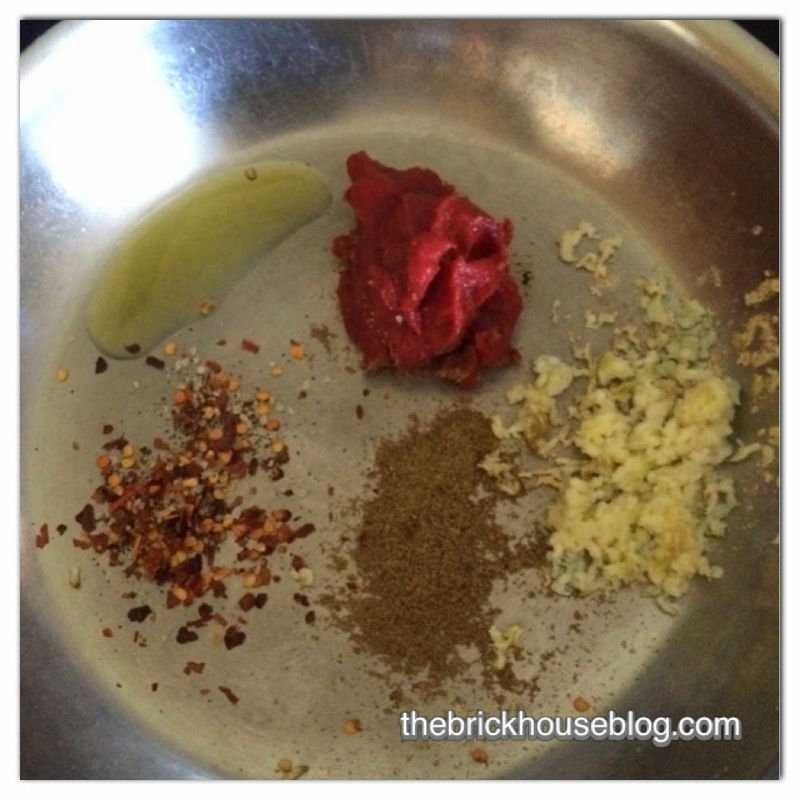 Before you add the veggies, go ahead and add the Rotel tomatoes and the sea salt. If you have begun with canned beans, you may want to scale back on the salt, as there will be some in the beans already. 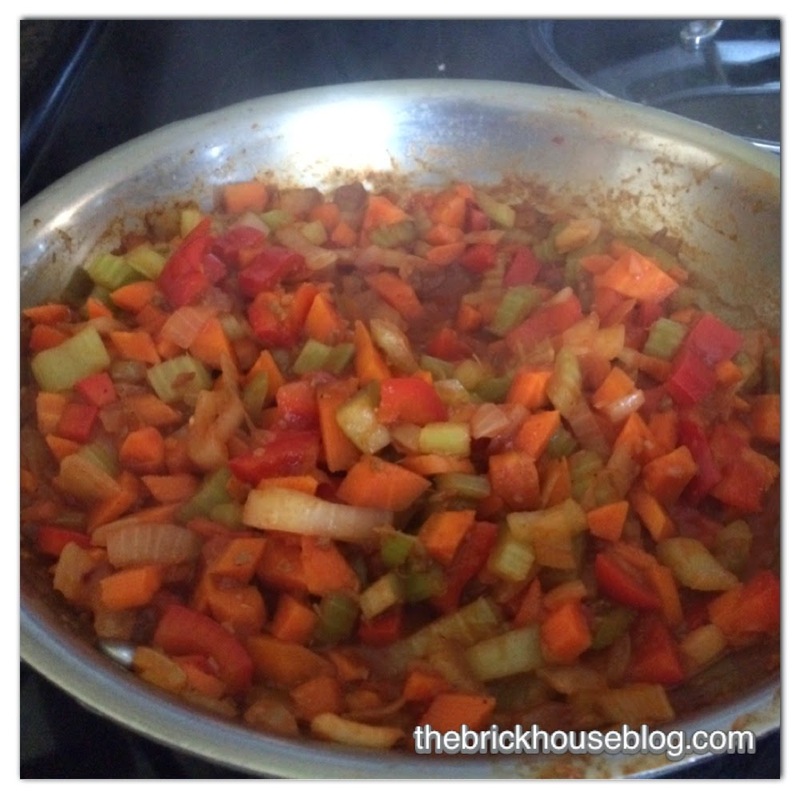 Add the veggies and as much water as you need to make the soup stir easily and to your desired thickness. Simmer on medium low. 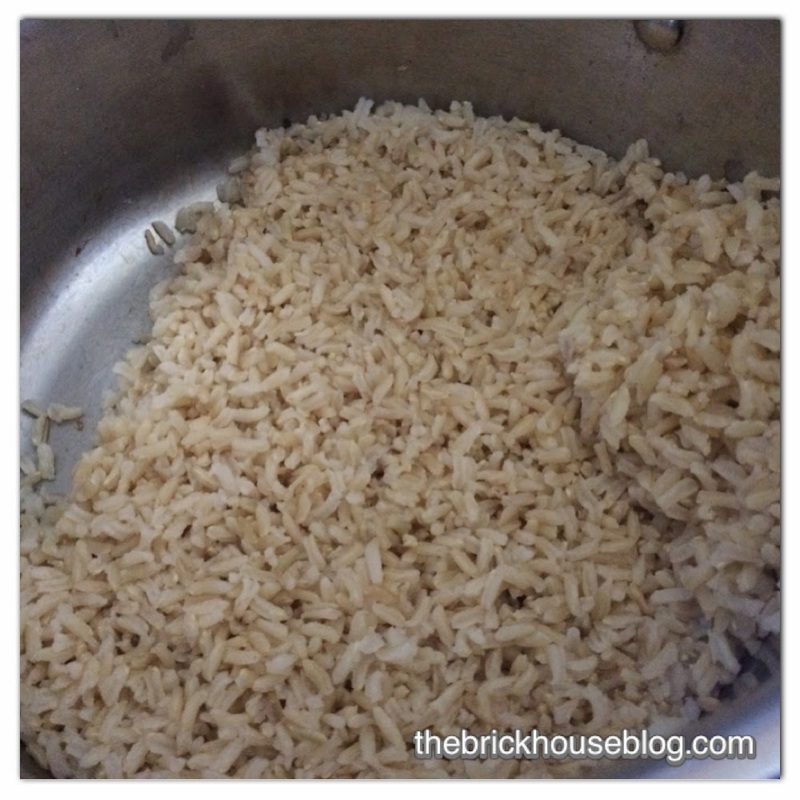 Brown rice is becoming a regular household item, but I find some folks are still having difficulty cooking it. I have been using this Martha Stewart method for the last few years and it comes out great. 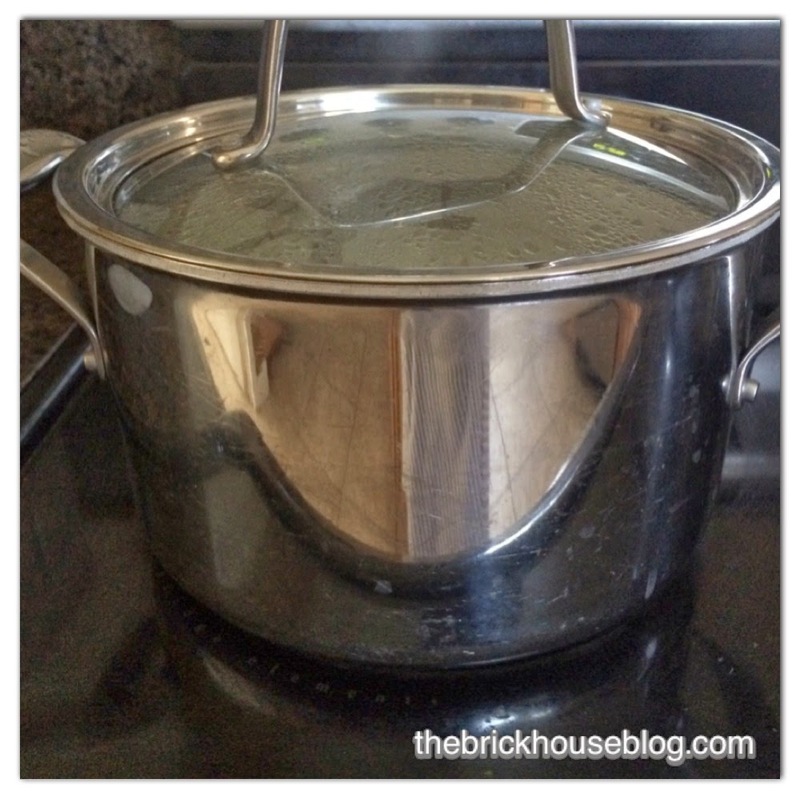 The key is to leave the lid on (no peaking!) and just allow it to do it's thing. 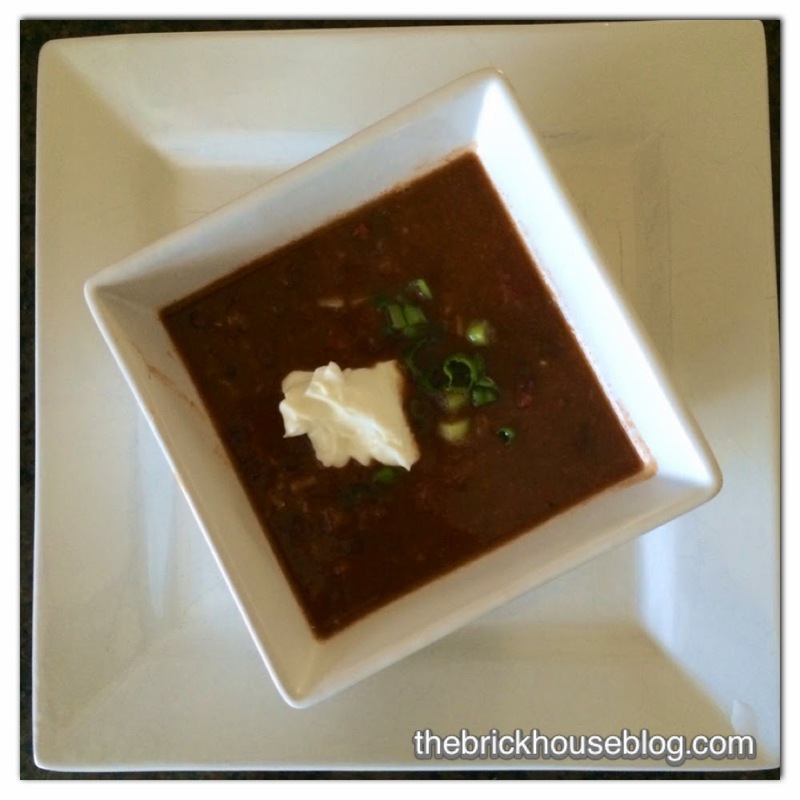 While your black bean soup is simmering, go ahead and cook up 1 cup (dry) brown rice, and when it is done, the soup should be perfect as well. This is what you should have when it is all done... yummy goodness.. I added the rice directly into the soup and turned the heat off. You may choose to keep your brown rice separate. 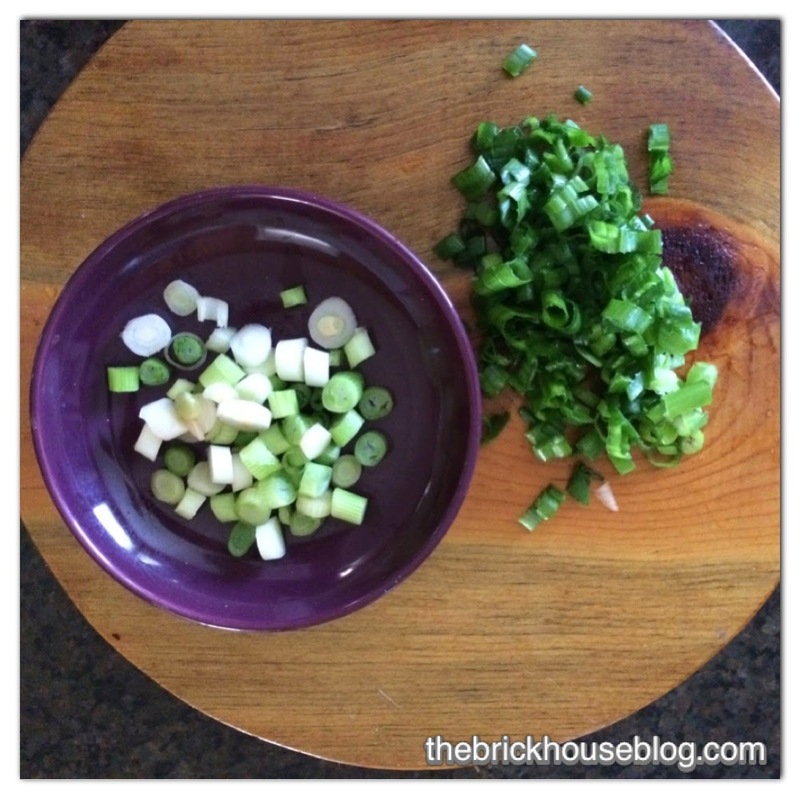 You can chop the green onions, adding the white/core section of the onions directly to the soup and using the green tops to garnish. 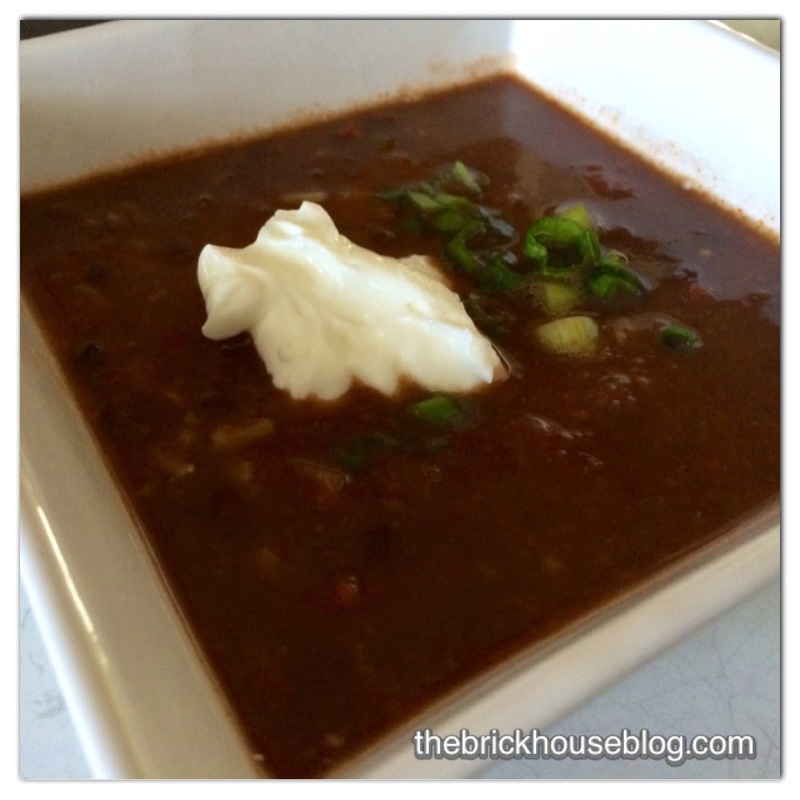 I added a spoonful of plain Greek yogurt to compliment the spicy heat and to add some protein to this flavorful rendition of Black Bean Soup. The crushed red pepper steps things up a notch and makes this a festive bowl-full. Beans and brown rice are both great sources of fiber and when they are combined, they give you a great complimentary source of protein. Eating whole foods is the way to go! "I love you once, I love you twice, I love you more than beans and rice"
If you are in Volusia County, Florida, Wednesday is the big Farmer's Market day at the Volusia County Fairgrounds from sun-up until around noon. It is the best place to get fresh produce. I've been going for about 14 years, bring about $20 per week and coming home with a basket full! Recently, I have been buying super jumbo eggs there, $7 for 40 eggs. These are so big,which makes them an economical choice. I can't wait to see what they have today! Clearing out the cobwebs, moving stuff around, giving things new color... Pretty soon The Brick house will be up and running. It's been a while, and that is a story in itself. 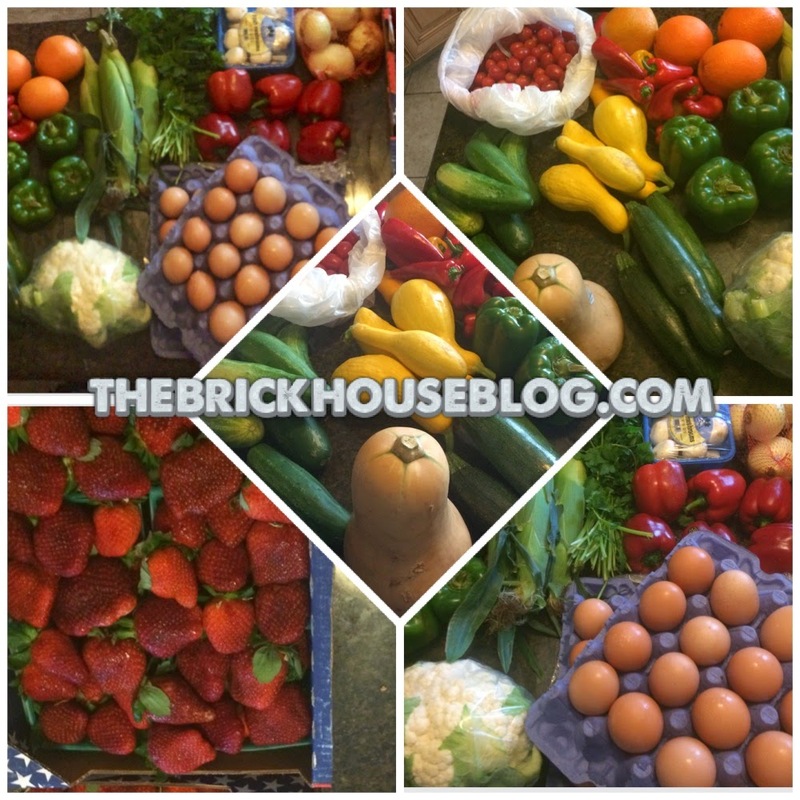 The Brick House will share motivating, encouraging, healthy ideas and tips. I'm excited to breathe some new life into this old place! Welcome home!